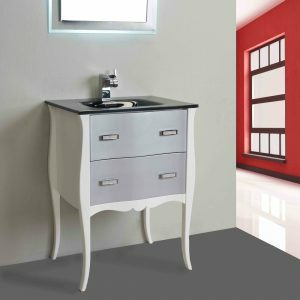 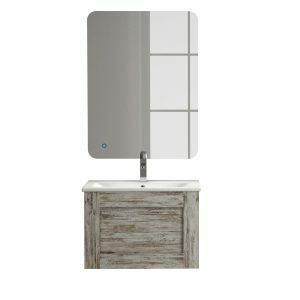 The modern design of the Eviva Cup 24 inch gray modern bathroom vanity is the ultimate choice for a compact modern/contemporary bathroom. 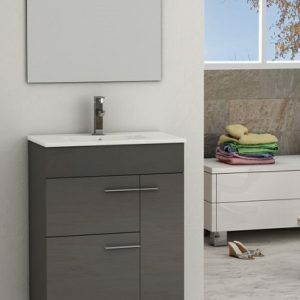 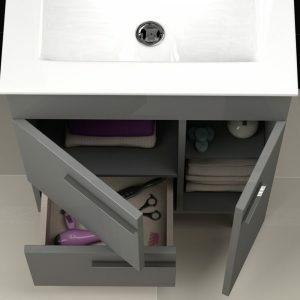 The made in Spain bathroom vanity features an integrated ceramic basin resting above the main cabinet. 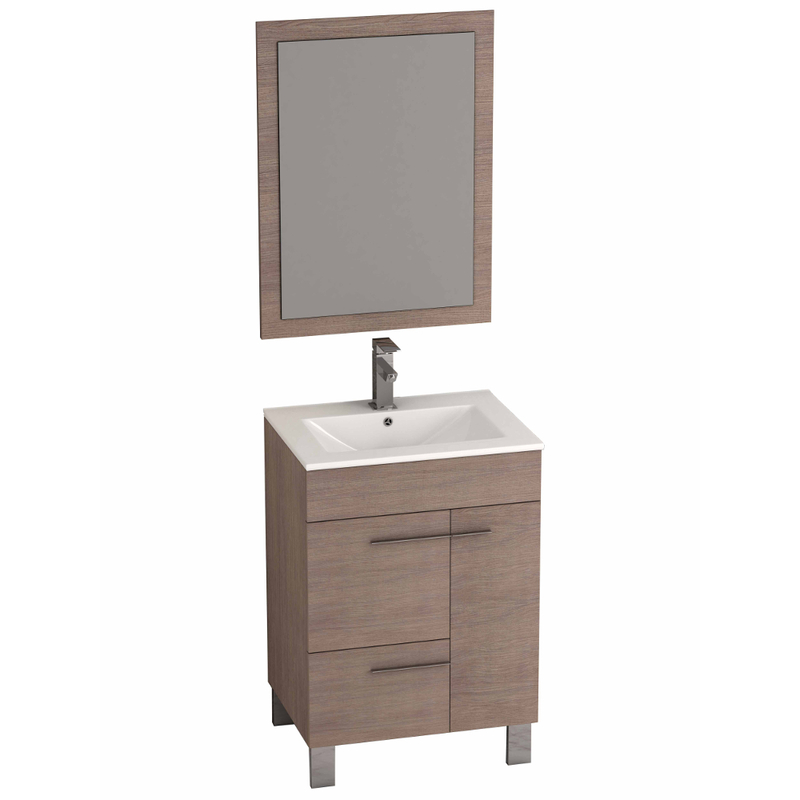 Constructed from Eco-friendly engineered wood, the Cup is very durable with hardwood characteristics like that of maple wood. 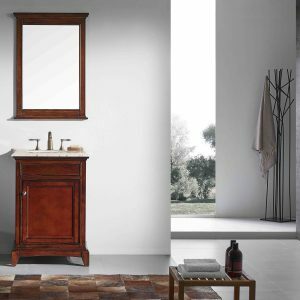 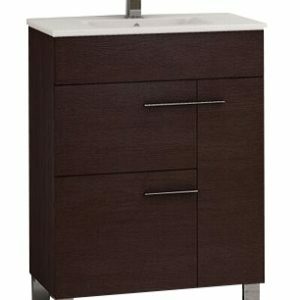 The modern design of the Eviva Cup 24 inch Wenge (dark brown) modern bathroom vanity is the ultimate choice for a compact modern/contemporary bathroom. 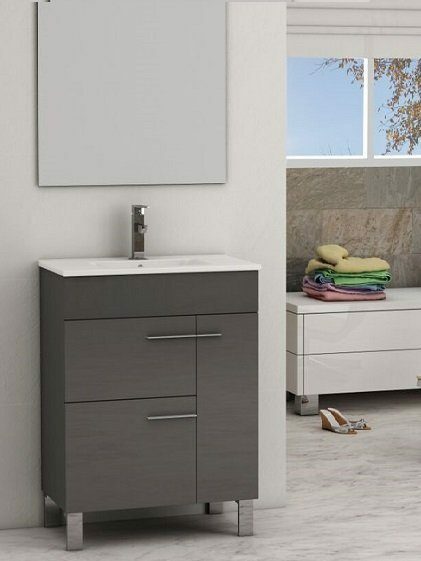 The made in Spain bathroom vanity features an integrated ceramic basin resting above the main cabinet. 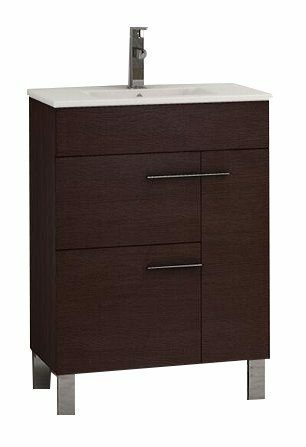 Constructed from Eco-friendly engineered wood, the Cup is very durable with hardwood characteristics like that of maple wood. 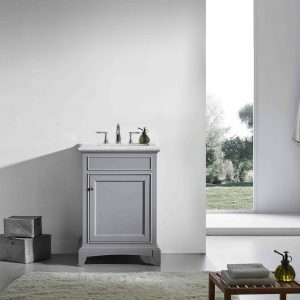 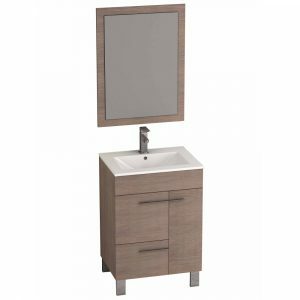 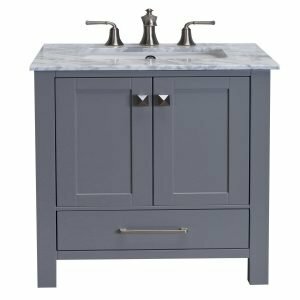 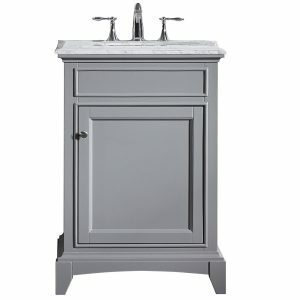 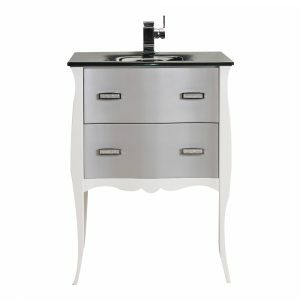 Eviva Elite Stamford 24″ Gray Finish Solid Wood Line Bathroom Vanity is one of the most elegant pieces designed with a Double OG White Italian Carrera Marble counter top that accents the bathroom cabinet with a very luxurious look. 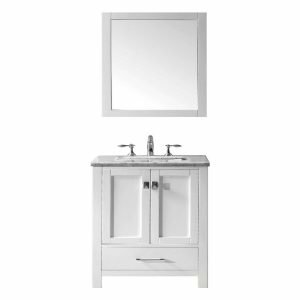 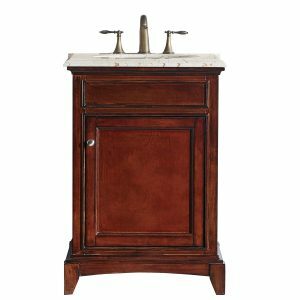 The 24 inch Stamford bathroom vanity is designed and fully constructed of solid wood (base and doors). 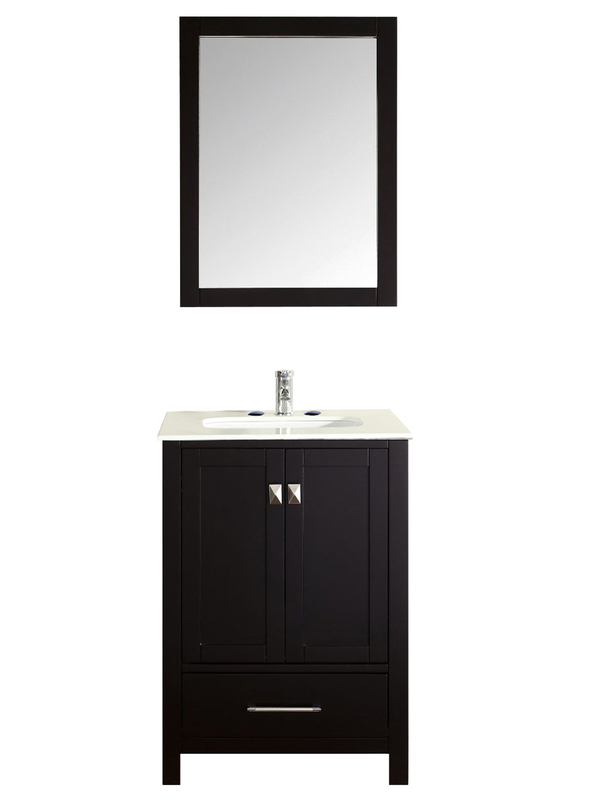 Soft closing hinges are also another feature of the Stamford bathroom vanities. 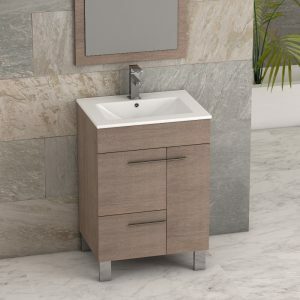 A perfect wide under mount porcelain sinks integrated within the counter top piece that minimizes over splashing. 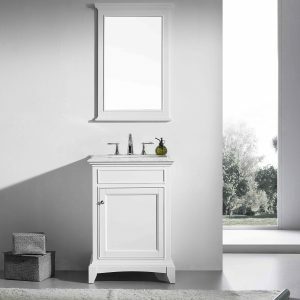 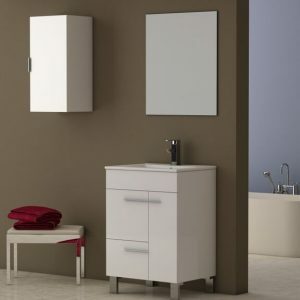 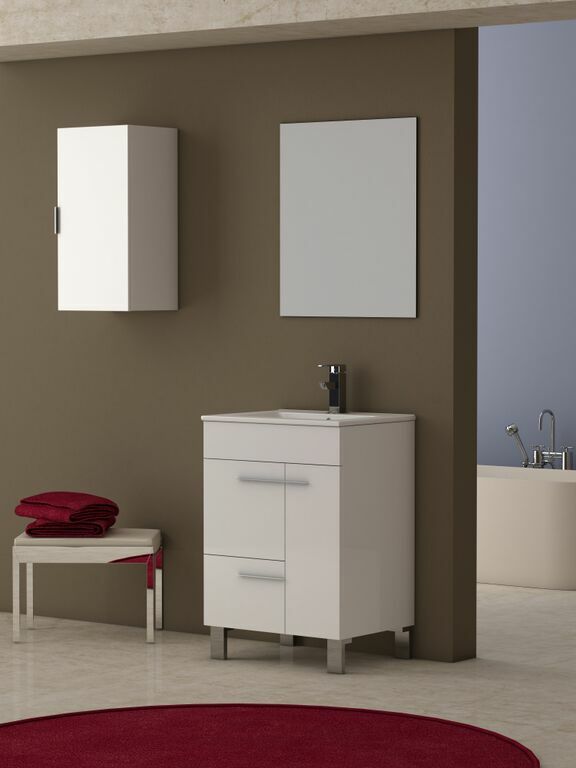 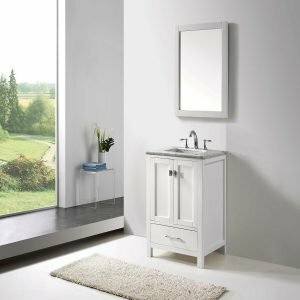 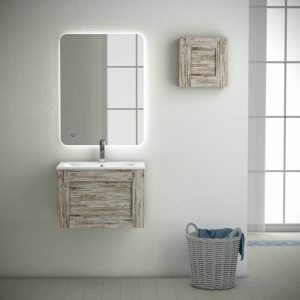 Eviva Elite Stamford 24 inch white finish solid wood line bathroom vanity is one of the most elegant bathroom furniture pieces designed with a Double OG White Italian Carrera marble counter-top that accents the bathroom cabinet with a very luxurious look. 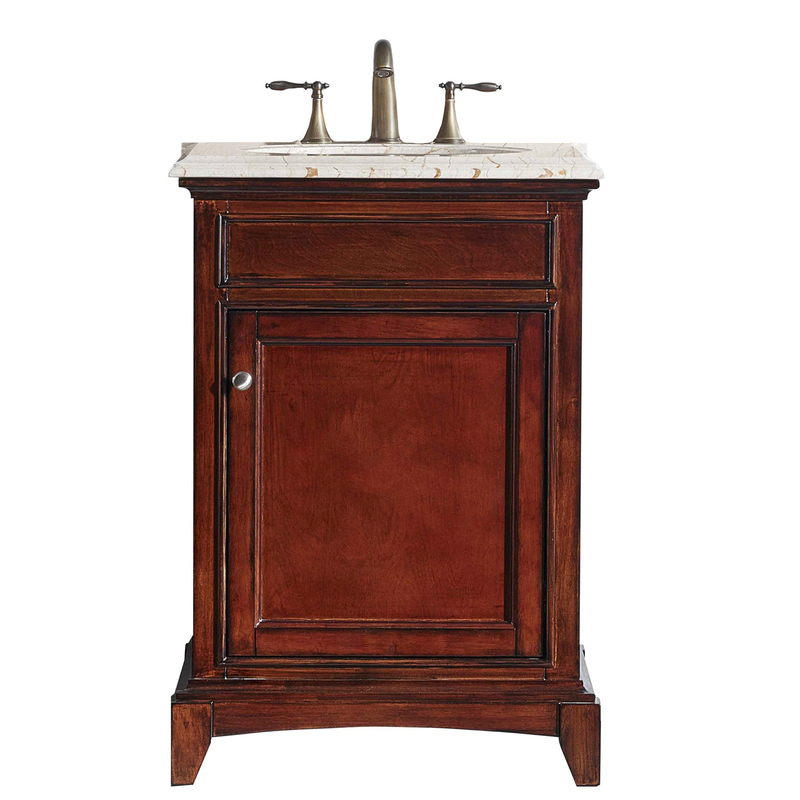 The 24 inch Stamford bathroom vanity is designed and fully constructed of solid wood (base and doors). 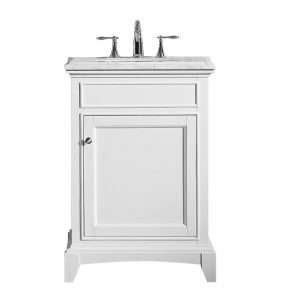 Soft closing hinges are also another feature of the Stamford bathroom vanities. 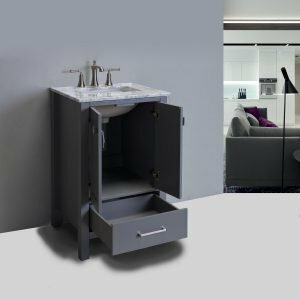 A perfect wide under mount porcelain sinks integrated within the counter-top piece minimizes any kind of water over splashing. 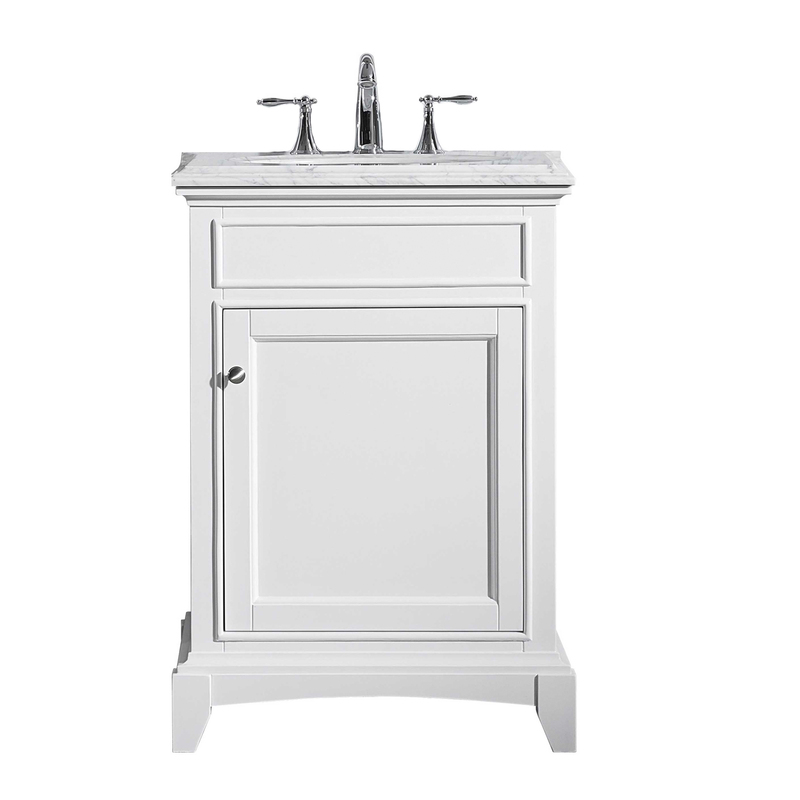 The white finish makes the Stamford a great piece of furniture.